April 2009 Relocation of the company administration from Hamburg to Berlin, Oudenarder Str. 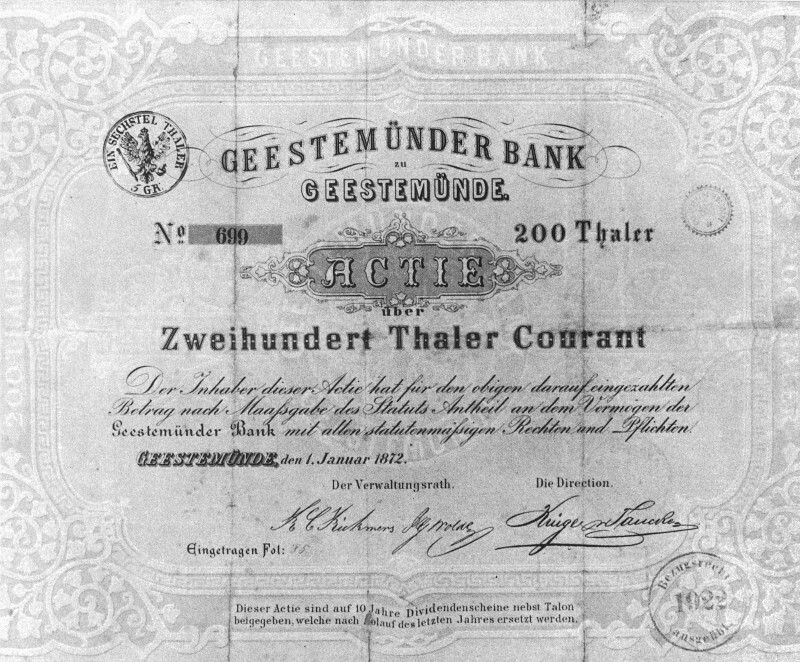 On 24th November 1871 at 4:00 pm, 70 gentlemen who had subscribed the planned share capital of 125.000 thaler met in the Hotel „Hannover“ zu Geestemünde (Bremerhaven), approved the statutes drafted by the founding committee and elected the first administrative council whose function resembled that of today’s executive board. On 27th December 1871, the Geestemünder Bank was entered into the commercial register and finally assumed business operations on 2nd January 1872, initially in rented premises. The first business year recorded a profit of 30.600 marks and a balance sheet total of 1.7 million marks. There followed years and decades of similar success. The balance sheet total on 31st December 1913 had reached 13.6 million marks – a reflection of the economic development at the time. One of the major areas of business was the classic lending and deposit business with trade and commerce and the participation in the founding of various deep-sea fishing, small railway and banking enterprises. The years of the First World War and the following period of inflation left deep marks in Bremerhaven's economic life, especially in the deep-sea fishing and shipyard industry which suffered losses of up to 60%. After a short period of prosperity, "Black Friday" in 1929 ushered in one of the worst economic crises the world had ever experienced followed by the terrible years of World War II between 1933 and 1945. 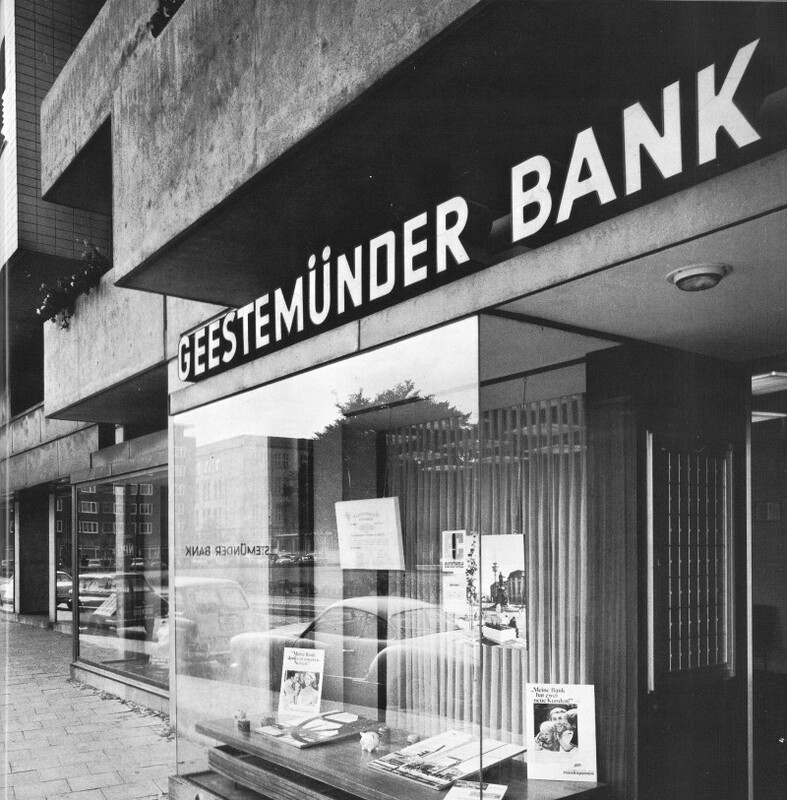 The Geestemünder Bank celebrated its 75th company anniversary in 1945 in the ruins of Bremerhaven. The years of Germany's economic miracle ensued and by the time the company celebrated its100th anniversary in 1971, the deepest wounds of the Second World War had healed. The economic success of the Geestemünder Bank was again reflected in its balance sheets. In 1986, the Vereins- und Westbank from Hamburg took over 82% of the entire share capital, and, as is well known, was later taken over in full by the Bayerische Vereinsbank (today HypoVereinsbank). 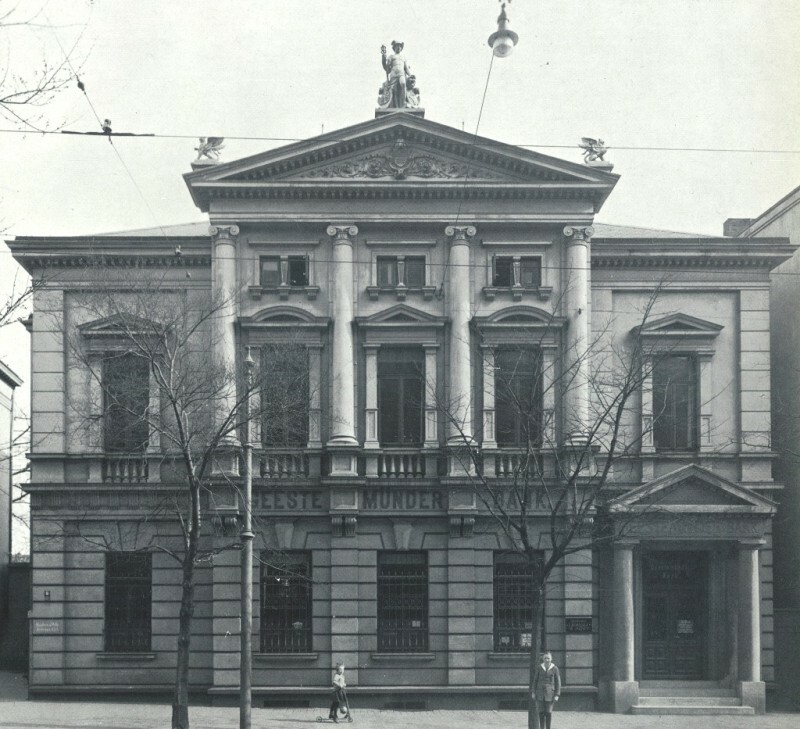 Finally, in 1997, the entire banking business, including the employees of the Geestemünder Bank, was transferred to Bankhaus Neelmeyer AG in Bremen, which was also owned by the Vereins- und Westbank Group; excluded from this transfer were, essentially, the shares, land plots and buildings. The license to conduct banking business was handed back and the company was renamed Geestemünder Verwaltungs- und Grundstücks Aktiengesellschaft (GVG). In 1998, GVG was initially taken over by the WCM Group and in October 1998 a majority stake was sold to HBAG Real Estate AG, Hamburg. At GVG's Annual General Meeting held in Bremerhaven on 13th April 1999 at which 90.55% of GVG's share capital was represented a unanimous resolution was passed to change the company's name to "Deutsche Real Estate AG" in order to clearly demonstrate its new focus on the real estate sector.